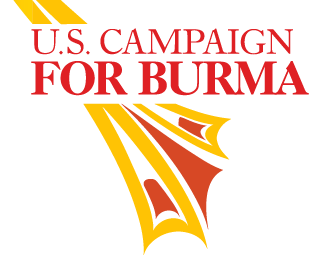 (Washington DC, May 18, 2015) – Today, US Campaign for Burma calls on the U.S. government to take leadership in providing immediate humanitarian assistance to the Rohingya refugees as well as putting effective pressure on the Burmese government to end its systemic ethnic cleansing program of the Rohingya. The United States frequently conducts military drills on disaster response and humanitarian assistance in Southeast Asia. Specifically, the U.S. military could use reconnaissance imagery and the deployment of naval and air assets to locate boats at sea and rescue those in danger. “The root cause of this exodus is the Burmese government’s stripping of the Rohingya and other ethnic minorities of their white card status,” said Jennifer Quigley, President of the US Campaign for Burma. “We welcome President Obama’s announcement of his renewal of authority to maintain sanctions on Friday, May 15. However, the United States must impose more pressure on Burmese President Thein Sein who has the responsibility and the power to protect and provide humanitarian assistance to those in internally displaced camps in western Rakhine state,” stated Quigley. In September 2014, Burmese President Thein Sein signed into law a bill that stripped associate, naturalized, and temporary certificate holders (commonly known as white card holders) of the right to form or participate in political parties. Furthermore, on February 11, 2015, President Thein Sein issued an executive order revoking “white cards” effective March 31, 2015. This presidential order prevents the Rohingya and other white card holders from voting in elections and further renders them stateless without identification. These two moves disenfranchised more than a million Burmese people rendering any subsequent election in Burma as illegitimate if not rectified.